The Pixel 2 and Pixel 2 XL have been two of the most highly-anticipated phones of 2017, and now, we're finally getting a good look at one of them. The Pixel 2 XL (yes, that's the official name) has just leaked with images of its two color variants and pricing information for the 64GB and 128GB storage sizes in the United States. Appearance-wise, the Pixel 2 XL looks pretty sharp. It'll come in two colors: "Just Black" and "Black & White." As we'd suspected, the camera lens is positioned inside the glass window, while the fingerprint sensor sits within the metal portion. Our positioning of the camera and flash was slightly off, but it's important to remember that we gave the render an 8/10 score. We only have pictures of the backs, but the Black & White model brings back the beloved panda look from the Nexus 5 and Nexus 6P. 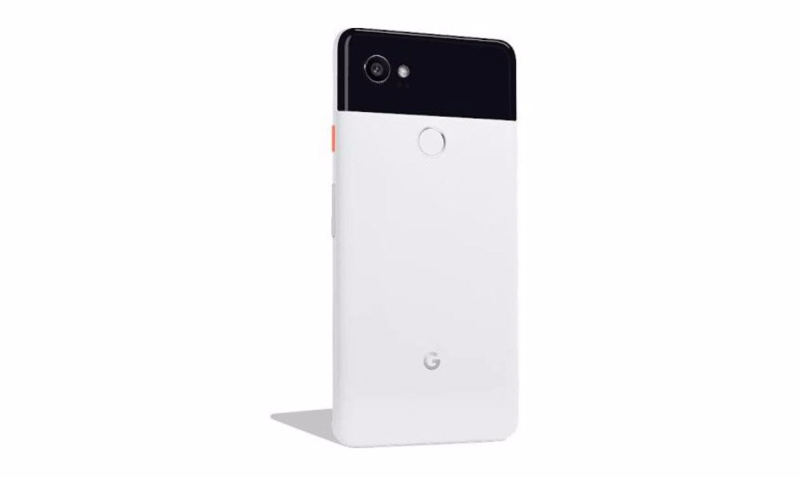 There's an orange power button on the Black & White color, which seems like an odd addition from this picture alone, but I wouldn't be surprised to see some orange accents on the front of the phone as well to go with it. The Just Black model has a regular, black power button. We also get the now-familiar "G" logo near the bottom. 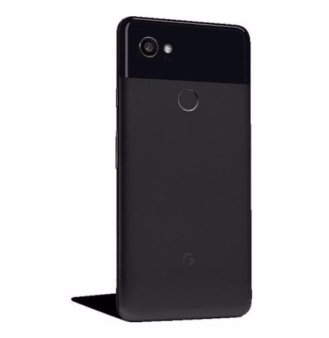 The 64GB model of the Pixel 2 XL will reportedly cost $849, and the 128GB model $949. For comparison, last year's 128GB Pixel XL cost $869, marking an $80 increase in that arena. Google will also offer financing, with the 64GB model costing $35.38/month for 24 months and the 128GB $39.54/month. It's worth noting that the Pixel XL's standard storage was 32GB, and it's nice to see Google's standard coming in line with Samsung's and Apple's. When the Pixel 2 and Pixel 2 XL debut on October 4th, you'll be able to find them on the Google Store here.